Looking to optimize your B2B lead generation returns? In 2019, companies struggling with a high cost per lead (CPL) in AdWords are doing this by shifting dollars to Google Display Network (GDN) advertising strategies. Here we’ll show you how it’s done. Business marketers prize Google Ads (formerly Google AdWords) campaigns, because the platform can generate a high volume of impressions with relatively little effort. However, a high volume of clicks can lead to a low volume of true leads. Paid search campaigns have gotten fiercely competitive in recent years, too. For some B2B services, CPCs sit near the average of $2.69. But industries like consumer services and legal services have CPCs that regularly blast past the $6 mark. Even with a high portion of click-throughs converting, you can quickly spend through your budget at those rates. So, what can you do? 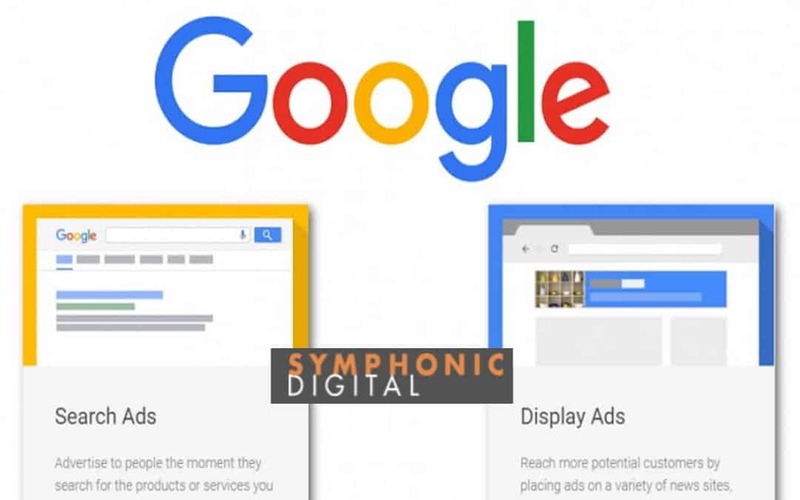 Symphonic has found the answer with some of our small and medium business clients: We scale back their Google Ads budget and invest more in the GDN, which provides precision targeting for B2B audiences at a lower average CPC. Finding the optimal mix between AdWords and GDN spending can create a “sweet spot,” lowering your CPL dramatically. With one of our B2B software clients, we were able to decrease their CPL by 42%. At the same time, we increased their lead volume by 117%! If you’re still not convinced, consider the following advantages GDN offers for B2B marketing. All said, Google promises that GDN advertisers have the potential to reach people across two million sites, reaching over 90% of internet users. You can even still manage your GDN campaigns using your existing AdWords account. By spreading your bets across Paid Search and GDN, you create a massive web to catch possible leads wherever they happen to browse. 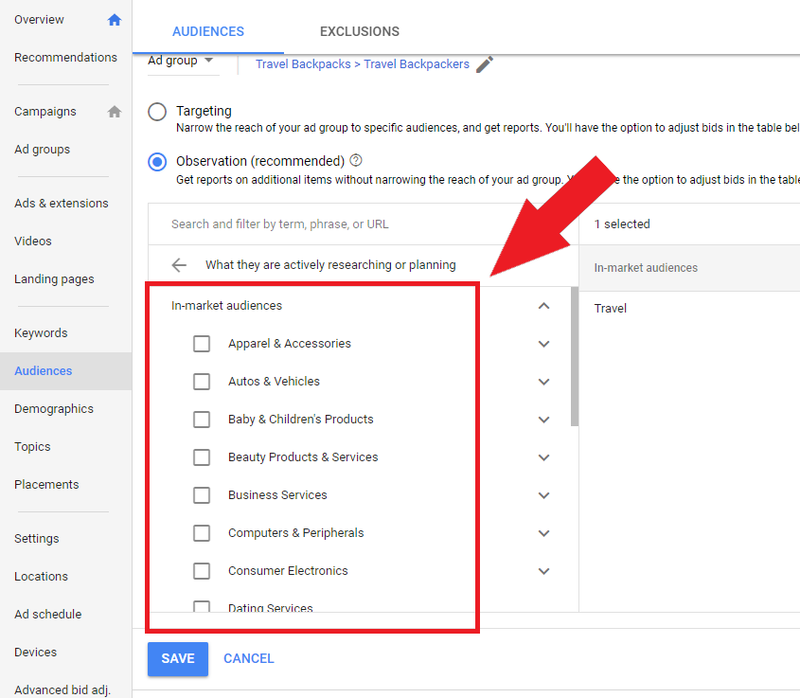 Google Ads can filter audiences using several segmenting options, but the ultimate signals for relevance remain rooted in keywords. Traditionally, those offering AdWords B2B services didn’t mind because targeting for certain keywords could generate huge impressions. But, since competition for certain service-related B2B keywords has soared in recent years, you have to raise your bid to be competitive. This problem stems from low supply of available AdWords slots and high demand. GDN, on the other hand, has a relatively near-infinite supply, so much that CPCs typically sit in a more reasonable range. You can therefore generate a fair amount of impressions at a lower going rate, reducing your CPL effectively. Powerful targeting options make GDN advertising even more beneficial. You can find very specific audience segments within hundreds of thousands of potential sites using custom filters. GDN’s “In-Market Audiences” feature, for instance, finds leads who are actively researching and cross-shopping services like yours. You generate impressions among people already brought into the buying cycle, and you potentially take away conversions from competitors. Like AdWords, you can also filter through a “Customer Match” using your own CRM data. You can create lookalike audiences, too, using even more contextual information than AdWords has. Retargeting also becomes more powerful as your ads appear all around the web, not just in search. Even just targeting by household income plus location can create excellent results. You quickly filter out non-decision-maker employees while hitting areas where you know your prospects dwell. In the example we hinted at above, our B2B software client was spending $364.80 per lead on paid search campaigns. By combining paid search with GDN (no retargeting), we lowered that to $212.81 — a 41% difference. From all of our clients, we’re seeing an even lower CPL for GDN campaigns of $158.09. At the same time, they’re bringing in more clients than ever at more advanced stages of the sales pipeline. That’s true potential, and it could be yours for the taking. Interested in optimizing your B2B lead generation results? Contact Symphonic Digital today to schedule a consultation and see how we can transform your digital marketing ROI.